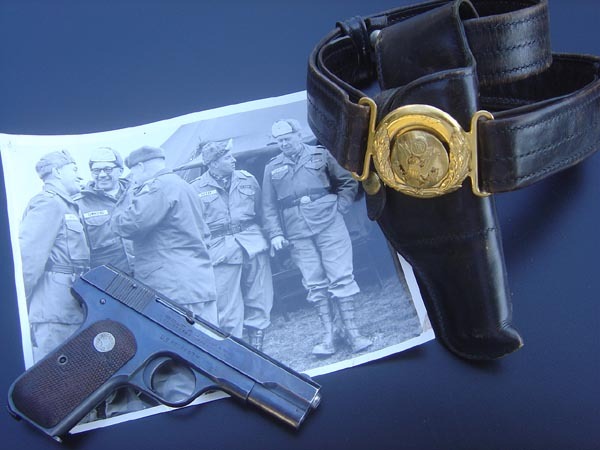 Colt Model M .32 ACP serial number 559427 issued to Major General Ben F. Taylor. Blued GO 1903: Belonging to Major General Taylor. Graduated West point in 1937, fought in the China and SE Asia Theater in WWII. He was Assistant division commander of the 3rd infantry division, Chief of Staff for the VII corps in Germany, Commanding general of the 24th infantry division, Director of Army Programs, Director of Army Budget , Chief of Staff of Central Army (NATO), Chief of Staff of U.S. Army in Europe and 7th Army. Retired in 1970 as a Major General.